Stephen Mitchell is widely known for his ability to make ancient masterpieces thrillingly new, to step in where many have tried before and create versions that are definitive for our time. His celebrated translations of the Tao Te Ching, Rilke, and The B0ok of Job have won the hearts of readers and critics alike. 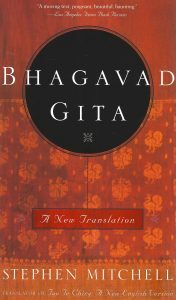 The Bhagavad Gita is universally acknowledged as one of the world's literary and spiritual masterpieces. 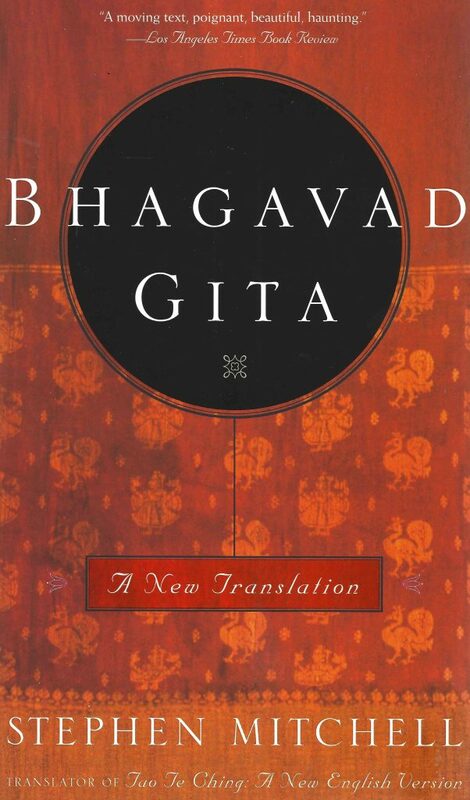 It is the core text of the Hindu tradition and has been treasured by American writers from Emerson to T.S. Eliot.
" Many times I have been born, and many times you (Arjuna) have also. All these lives I remember; you recall only this one. Although I am unborn, deathless, the infinite Lord of all beings, through my own wondrous power I come into finite form. Whenever righteousness falters and chaos threatens to prevail, I take on a human body and manifest myself on earth. In order to protect the good, to destroy the doers of evil, to ensure the triumph of righteousness, in every age I am born. Whoever knows, profoundly, my divine presence on earth is not reborn when he leaves the body, but comes to me. Released from greed, fear, anger, absorbed in me and made pure by the practice of wisdom, many have attained my own state of being. However men try to reach me, I return their love with my love; whatever path they may travel, it leads to me in the end. "